In This Blog I Share With You Everything That I Like..
· Add calcium and vitamin D in your diet – Although it is well known to help strengthen bone density did you know that vitamin D and calcium can actually help you lose weight as well ? 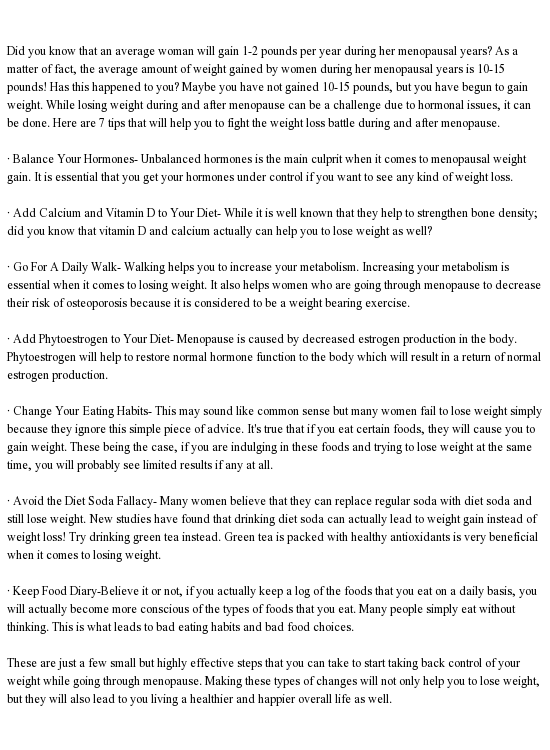 This entry was posted in gain, menopause, menopause weight gain, weight and tagged gain, menopause, menopause weight gain, weight on December 16, 2013 by chrissjonss. 4 Great Superfoods for Weight Loss!